This book, covering the years 1946-1952, continues Colin Druce’s major history of Southdown. 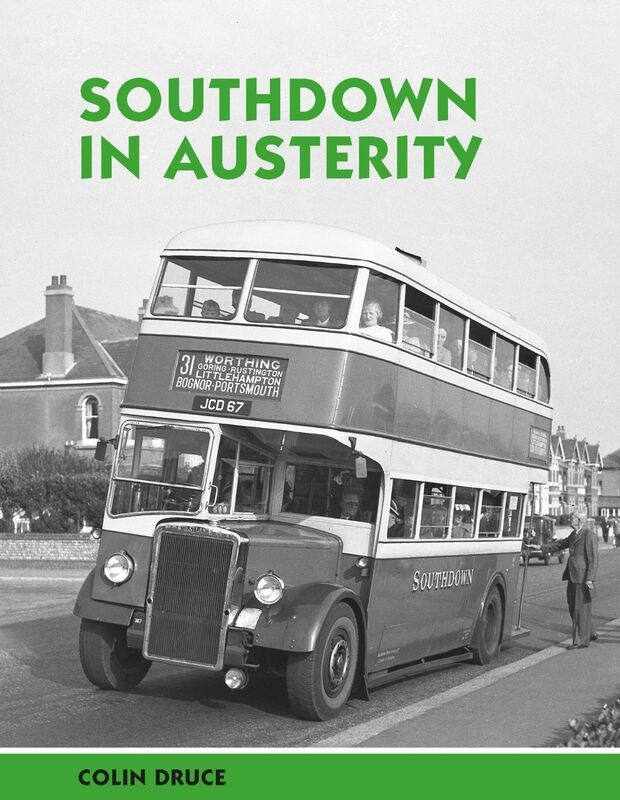 In 1946 Southdown, like other bus operators in Britain, was beginning its long recovery from six years of war. The South Coast towns in particular had been subject to many severe air raids although Southdown appeared to lead a ‘charmed existence’ and avoid serious damage to its properties. Only two Southdown’s coaches had been lost to enemy action along with a bus severely damaged. Lower maintenance standards owing to shortages of manpower and materials had also taken their toll and it took the period covered by this book to recover fully. In addition to 280 new vehicles delivered by 1950 the company embarked on a major programme of rebodying its prewar Leyland Titans double deckers as well rebuilding the bodies of its Leyland Tiger single deck buses and coaches. These and all the route developments are fully covered in this well illustrated book.